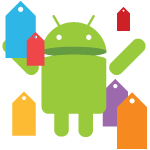 Yes, there was just a sale post yesterday, but the Android app developer community is apparently feeling more generous than usual this week. If you're in search of a distraction from your daily grind, we've got cheap fun ahead. That's it for now. Check back later for more, assuming we find any stragglers.